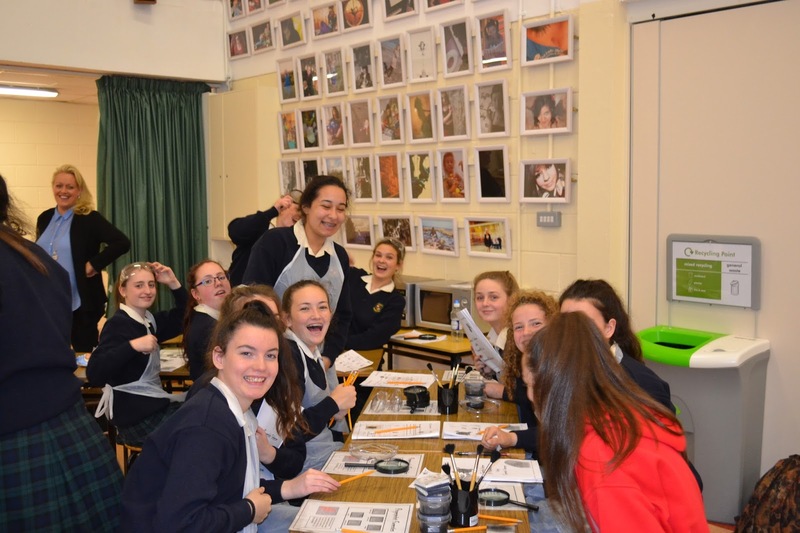 On Monday 19th and Tuesday 20th October 2015, TY students got to experience the work of a real forensic. 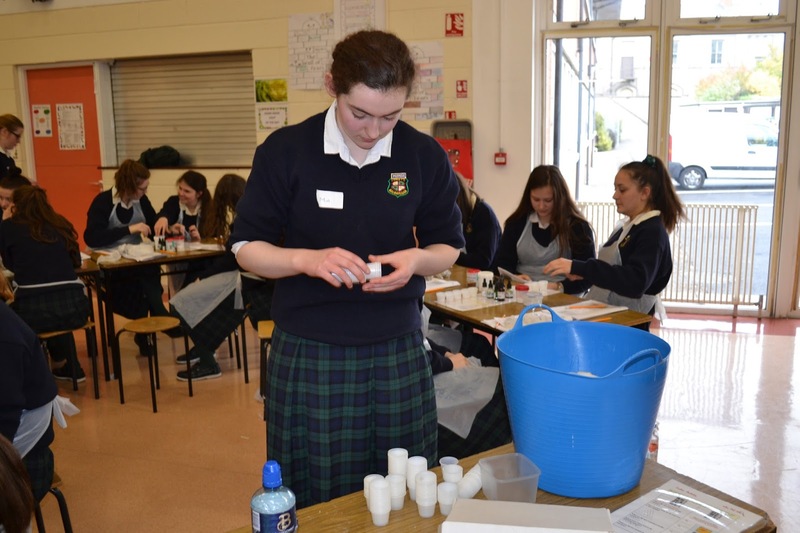 It was a fun and interesting experience for our year group who took part in the workshop. There were many different activities and tasks to do. We had a chance to analyse our fingerprints and learn about the different elements that make up an individual print. 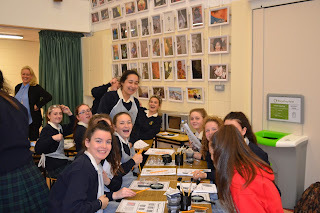 With the use of real forensic powder and brushes, we were able to analyse our friends' fingerprints as well as our own! It an interesting task that everyone enjoyed. Since we were trained here as crime detectives, crime solving involved a lot of logic and proactive thinking. We were given secret codes and used a 'Caesar Cipher' to crack them and we were also given a riddle to decode.This particular riddle was created by Einstein himself! We were split into teams of four and the team who broke each code or riddle first, was awarded 'Smarties' for their winning efforts. When Einstein wrote this riddle, he said that only 98% of the world's population could solve it! We were given a selection of powder and we tested their characteristics. Some of the questions included; Does it dissolve? Does it change colour? Does it fizz? 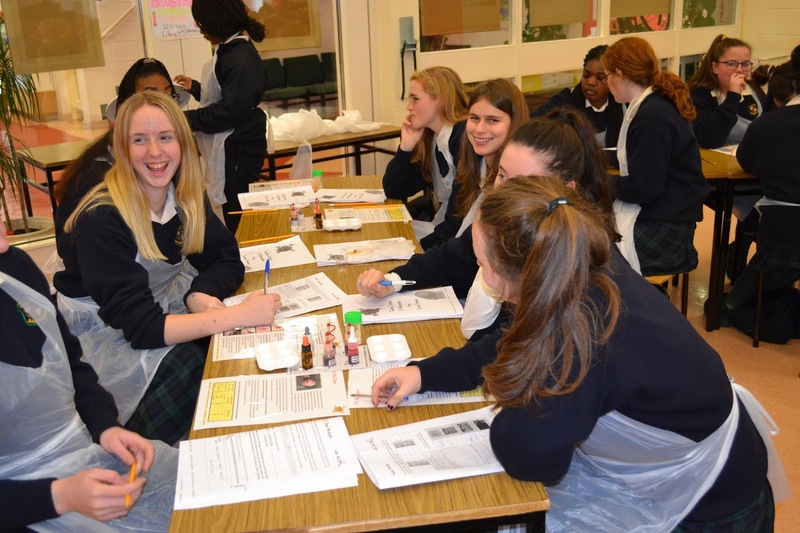 We were then given a mystery "potent drug powder" to analyse. By comparing the powder to our characteristics chart, the dangerous drug turned out to be a mix of baking soda and cornflour! As forensic scientists, we need to analyse different blood types and know the different blood groups to get a better idea of the blood samples left at a crime scene. We were given various anti-serums and blood samples to examine. We were given a task to analyse each of the suspects' blood, the blood from the murder weapon, the sample from the victim and the crime scene. 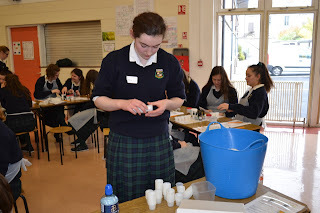 This was a very interesting task since we learned more about different blood groups and what happens if you were given the wrong blood during a blood transfusion which is quite dangerous. At the end, we used our blood samples to identify the victim and catch the murderer. 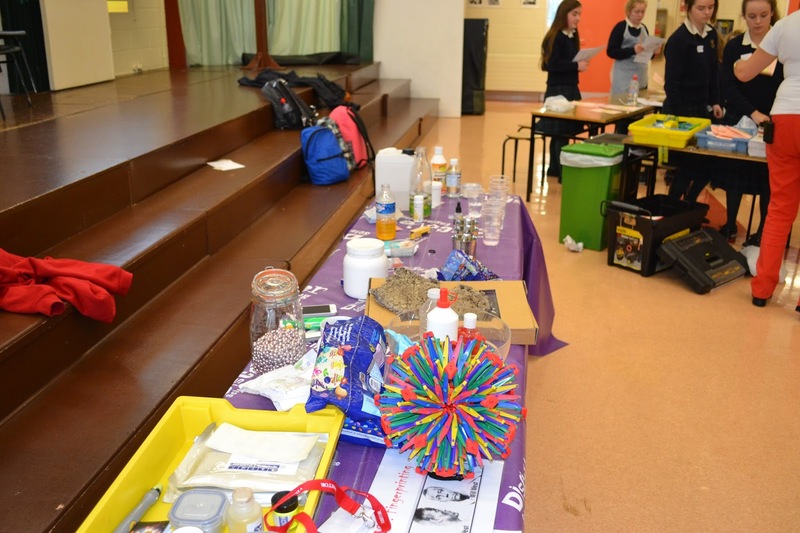 Overall it was an interesting experience the whole year learned from and on behalf of Transition Year, we would like to thank 'Scientific Sue' for coming to teach us all about the art of forensics.